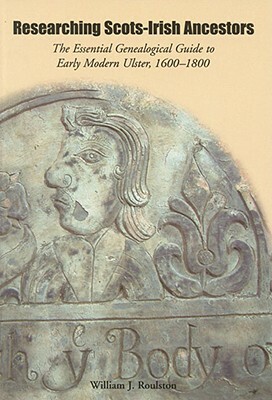 Ulster Historical Foundation, 9781903688533, 262pp. One of the greatest frustrations for generations of genealogical researchers has been that reliable guidance on sources for perhaps the most critical period in the establishment of their family's links with Ulster, the period up to 1800, has proved to be so elusive. Not any more. This book can claim to be the first comprehensive guide for family historians searching for ancestors in seventeenth- and eighteenth-century Ulster. Whether their ancestors are of English, Scottish, or Gaelic Irish origin, it will be of enormous value to anyone wishing to conduct research in Ulster prior to 1800. A comprehensive range of sources from the period 1600-1800 are identified and explained in very clear terms. Information on the whereabouts of these records and how they may be accessed is also provided. Equally important, there is guidance on how effectively they might be used. The appendices to the book include a full listing of pre-1800 church records for Ulster; a detailed description of nearly 250 collections of seventeenth- and eighteenth-century estate papers; and a summary breakdown of the sources available from this period for each parish in Ulster.